Have you ever thought about the art of wine? For instance, in wine there is the art of the grape, the art of nature, and the art of the winemaker. Think of the grape as a canvas. Every fall, unfolding as a lush pastel of taste, they hang from the vines full and ripe just waiting to be picked and turned into something different, something say, for your holiday table. 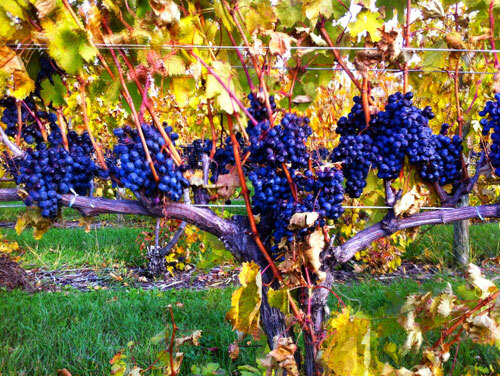 The result is part of a cycle that began in the spring with buds bursting and will end in your living room when you uncork a bottle of fine Michigan wines. In the art of nature, every fall the trees give us the most glorious backdrop and artists flock to the wine regions to record the splendor. It’s also the time for the harvest of the grapes, which have seasoned in the heat of day and cold of night, absorbed the runoff of spring, the rains of summer and the mists of autumn, and then there are the minerals of the soil and sunlight turned to nutrients in the elegant fruit that becomes drink. 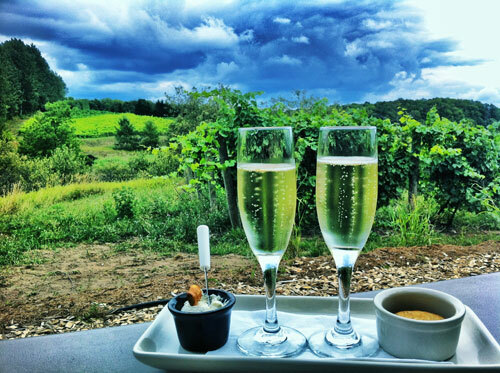 It isn’t coincidence that Mission and Leelanau Peninsulas are very close in proximity to the latitude of France and their hills and closeness to warm waters make them perfectly suitable for this other form of art – the art of making a fine wine. Like all art forms, the cycle is only completed by the viewer or, in this case, the wine drinkers – and that’s you. 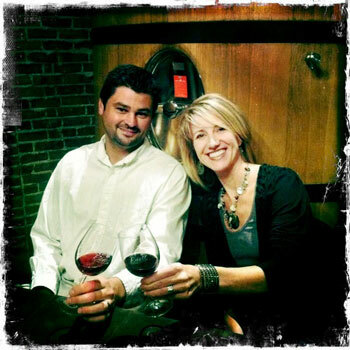 It starts with the wine maker, the creators. 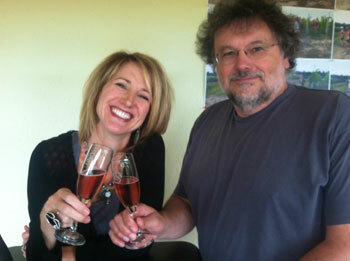 Winemakers are fun, interesting people. You never meet a winemaker studying for a degree in accounting or law. They have found their place and live happily in it. 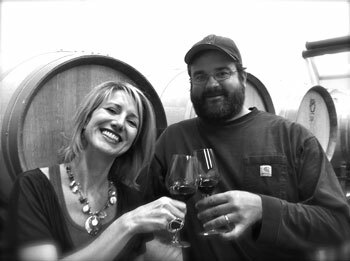 I have interviewed a dozen of winemakers, and each one sees his craft and creative process differently but honors the sacred process of creation. What struck me as I was learning from them was how much my process as a painter was parallel to their process as winemakers. Larry Mawby of the renowned L. Mawby Winery said, “You can hear the land, the wine, and what it’s telling you.” In the studio it’s the same: The canvas and paint reveal to you what they want to become, you are just the vessel. Larry is also a poet; he writes beautiful little seductive gems for each of his creations. The poems appear on each of his sparkling wines, deepening the link between art and wine. I read on Silverleaf Vineyard and Winery’s website that they take an artisanal approach to wine making. When I meet Mark Carlson, proprietor and winemaker, it was no surprise that it was he who crafted the giant silver leaf sculpture that sits outside the tasting room on Michigan’s Leelanau peninsula. I was not surprised because I have found winemakers to be very artistic people with creative outlets, from musicians, landscape architects, to cooks and, in Mark’s case, he has even tried his hand at painting. At Silverleaf, they planted the grapes themselves and have their hand in every bit of the process – a true artisan approach! Winemaker Brian Ulbrich of Left Foot Charley fame says making wine is about “living with the seasons, the cycle of a year in a bottle.” When you visit his winery in Traverse City, you will find plenty of wooden barrels and stainless steel, where the wine lives and the palette of science with creativity turns the glorious grapes of harvest into the wine you share with loved ones. Coonraad Strassen can be found creating for Brys Estate. 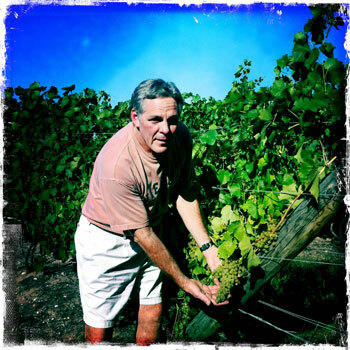 His wines have taken the industry by storm and he has quickly risen to his place in the fabric of the Michigan wine industry, even winning international awards. Coonraad is interested in “what I can do with the land” and sees his room full of barrels as his palette of color for getting creative. 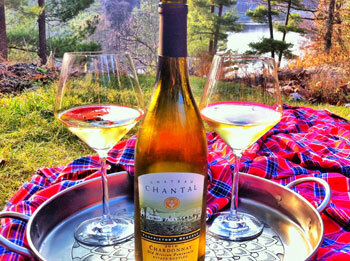 Mark Johnson at Chateau Chantal is one of the original winemakers who got the idea to let Chardonnay be what it is with out oak: clean, crisp, and steely. Inventing, creating, and redefining, seeing what can be done. 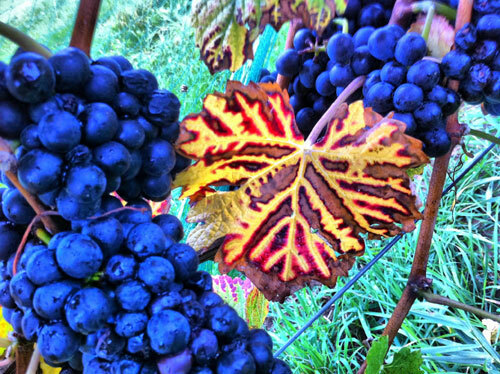 Like a painter, each winemaker is pushing the boundary of what has been done, but looking forward to what can be done. They look to history while forging into new and better ways to create. True artists. As you eat, drink and be merry this holiday season. I urge you to think about the wine you uncork as a piece of art, and think about the process it went thought to become wine, the land from which it comes and the choices made in the process of creation. 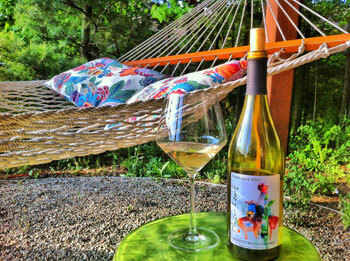 Uncork and enjoy the art of the vine. 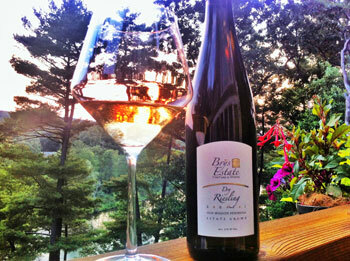 If wine is sunlight held together by water then Brys Estate Dry Riesling is the perfect example. It’s summer in a bottle. Riesling was a variety that this dry wine lover avoided, that was until I discovered the dry variety that wine makers in Northern Michigan were making, and well, I fell in love with it. 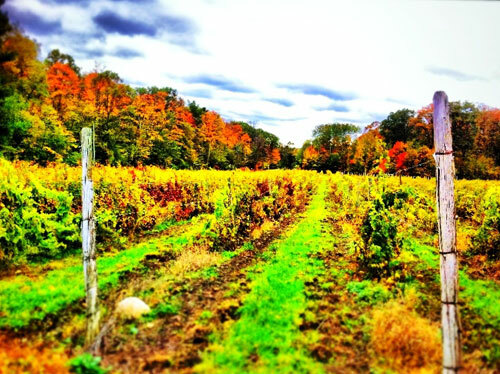 Riesling is a grape that all the wine makers On the Michigan Wine Trail have said is made for Michigan, and I encourage you to take their word for it. This wine took a Gold medal at the Great Lakes Wine Competition and winemaker Coenraad Strasen has mastered this Michigan loving grape and captured a season in the bottle that tastes like summer! I have to confess this is an absolute favorite of mine. It has smoothness and a depth that set it apart. On the nose fully ripe dark cherries, a hint of licorice, and spice that delivers on the pallet. I find the spiciness to be beautifully balanced with a very smooth creaminess, and the perfect amount of lingering after taste. I drink this one in all seasons but find it my go to red as the days get warmer. Cheers! 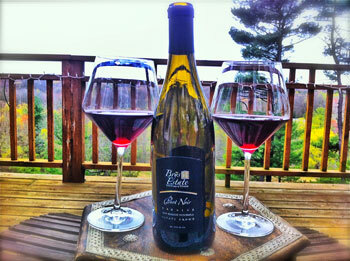 If there are a few grape varieties Michigan wine makers seem to agree truly shine in Northern Mi. Pinot Grigio shows up on all the lists. 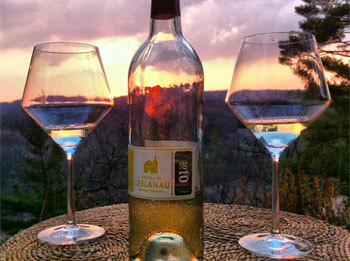 Chateau de Leelanau is making a beautiful example of this wine. Crisp, clean and refreshing. Hints of grapefruit, apricot and lime, and dare I say I smelled a touch of strawberry on the nose. A nice after party finishes off this ‘perfect on a sunny spring day’ wine, and the flavors stay with you in the most pleasant way. Cheers! 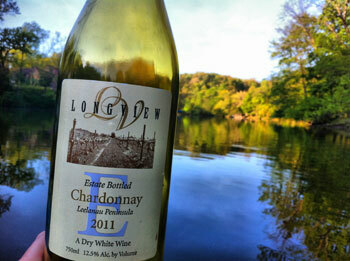 Longview Winery & Vineyard 2011 Chardonnay… Yes Please! This is a beautiful, well balanced expression of what a great Chardonnay can be. Lovely honey, pear and apple with a touch of butter, all this while remaining a dry wine. Perfect for many occasions but here it was supreme for an outing on a warm sunny day on the river, no food needed. A clear buttery yellow greats the eyes, while creamy apricot notes tease the nose. On the palate, a touch of inviting tartness and a explosion of fruits roll over the tongue with a clean finish that lingers, just as you would want it to. It definitely leaves you wanting more… See for yourself. Cheers! This is sparkling wine done right. They say pear, and baked apple on the nose with limestone and peach under tones. We say, yes these smells can be found, but after a few sips you don’t really care, it’s just um, um good! A explosion of yumminess to use my finest wine speak. Dry and full bodied taking you beyond just bubbles into a fine wine. Run don’t walk for this one. And beautiful packaging to boot. 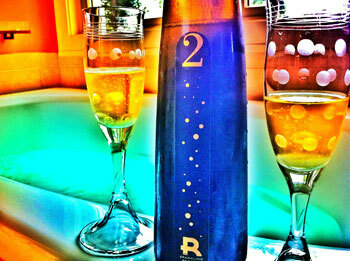 2 thumbs up for 2 Lads Sparkling Reserve— with 2 Lads. This one tastes even better than it looks in this photo. It’s light and fresh like a summer day, and fruit forward. My only warning is it goes down very easy, you will have to pace yourself.